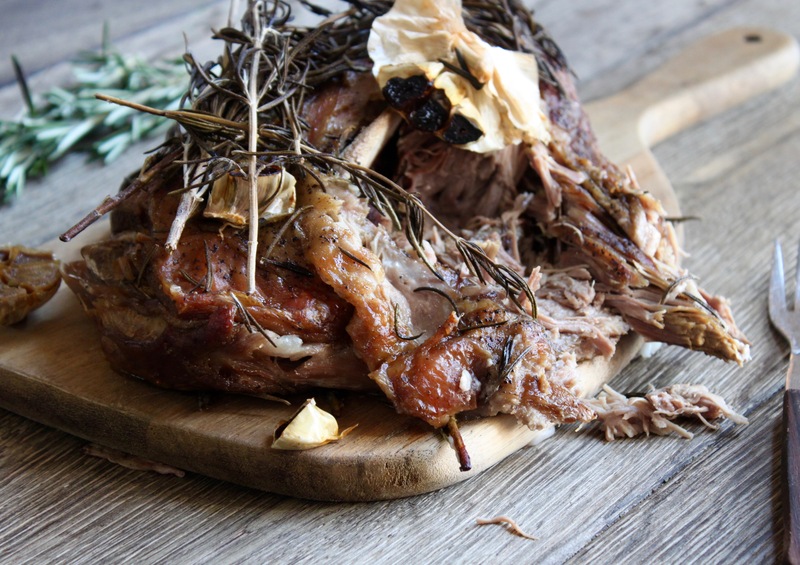 This recipe may seem almost too easy to be true- but trust us- magic happens with the dry heat of the oven and the fabulous fatty Lamb! Serve with some mash and spring greens, shred into tortillas with some minted yoghurt or just share at the table with new potatoes, salad and breads- either way, delicious! For this recipe, you will need your oven at perfect roasting temperature which is around 200°c. Put the onion, half the rosemary and one bulb of garlic in the middle of a roasting tray. 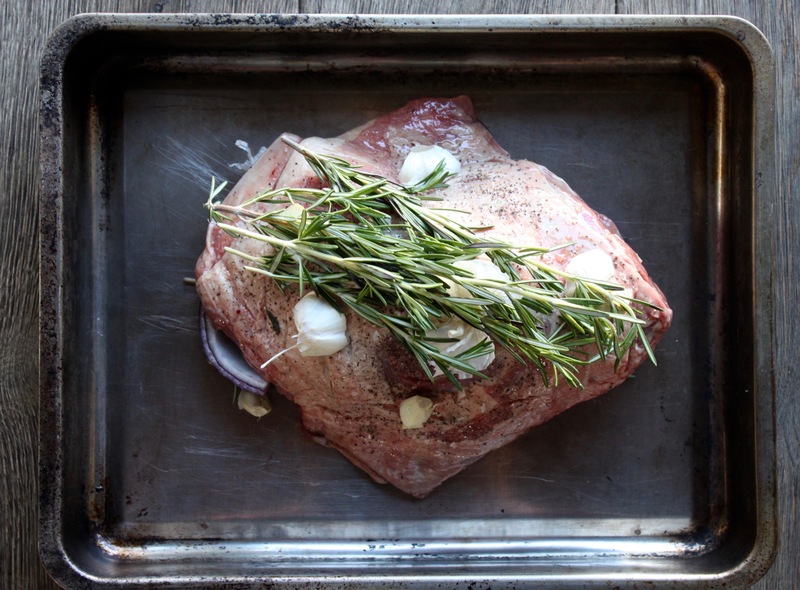 Score the fat on the lamb, rub all over with the olive oil and season generously with salt and pepper. 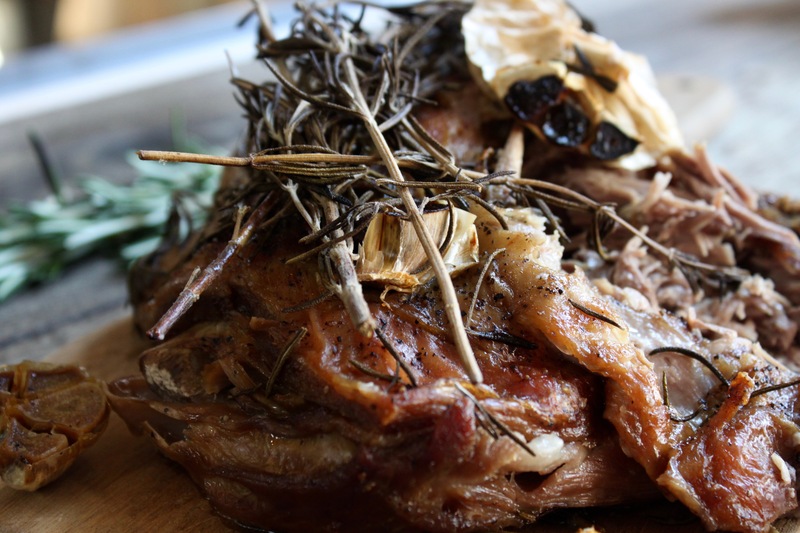 Pop the lamb on top of the onion, rosemary and garlic, and top with the remaining garlic bulb and leftover rosemary. Foil the tray tightly and pop into the oven for 4- 4 ½ hours. 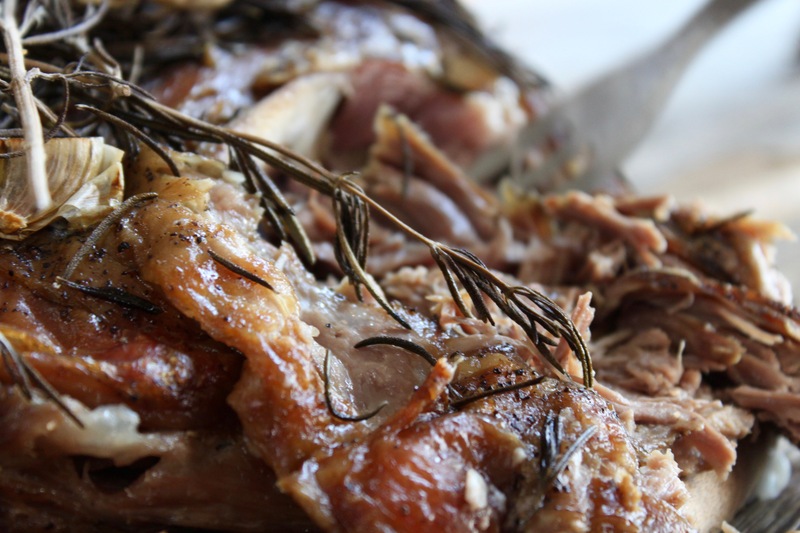 The shoulder is cooked when the meat shreds away easily and the bone is easy to remove. 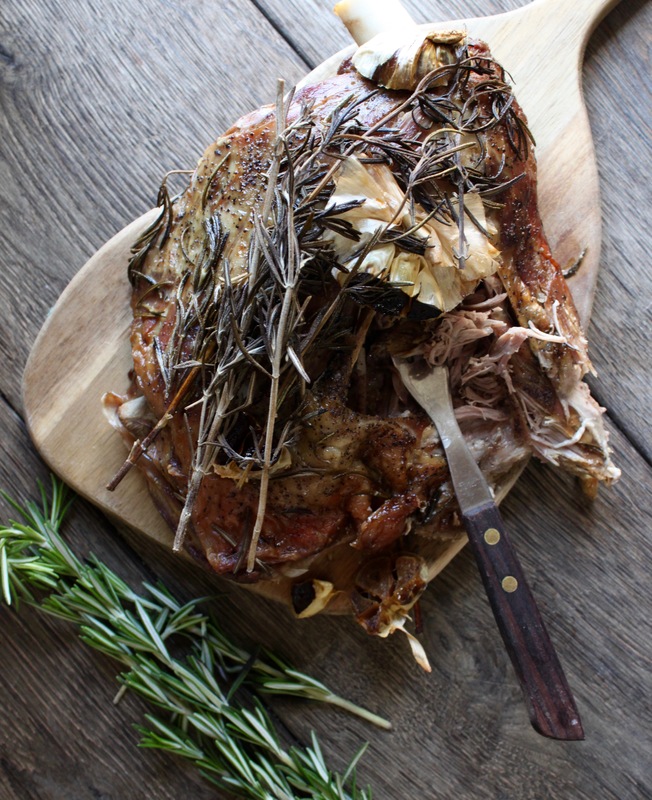 Put the lamb on a chopping board, cover with foil and a tea towel, and leave to rest for at least 30 minutes. Voila!